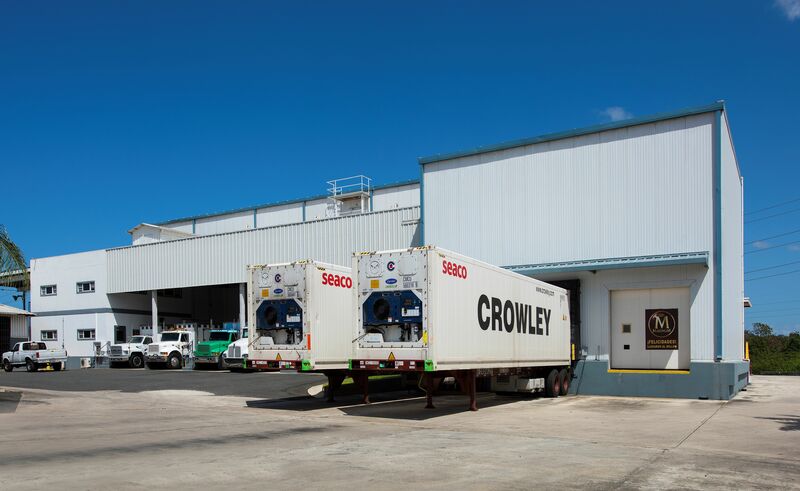 LEWISVILLE, Texas, April 4, 2017 – Storing ice cream requires a reliable cold storage structure, especially when you are storing that ice cream in Puerto Rico for transport throughout the entire territory. 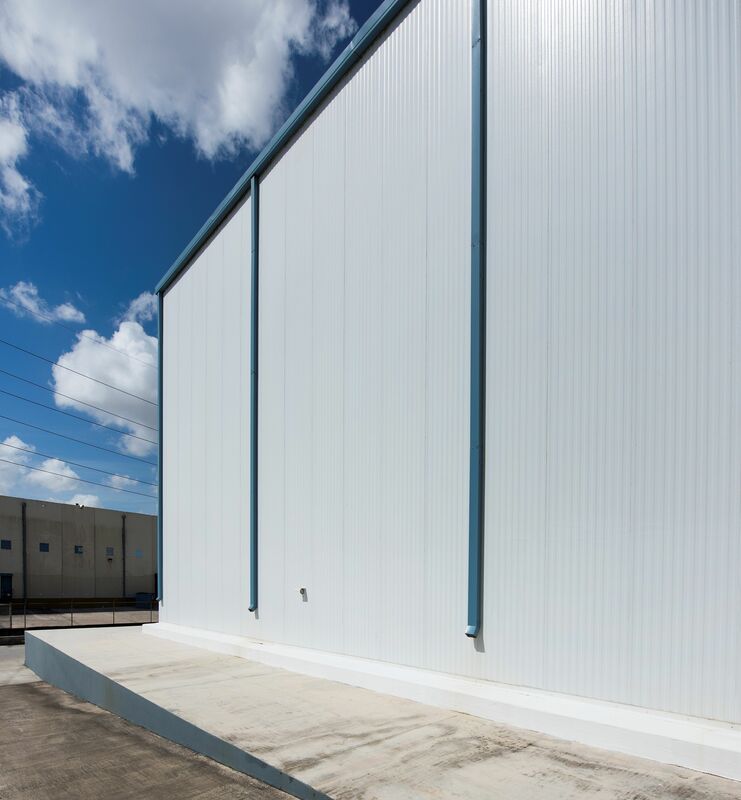 Sterling Merchandising of Dorado, Puerto Rico, keeps its stock at a suitable temperature with the help of insulated metal panels from Metl-Span. 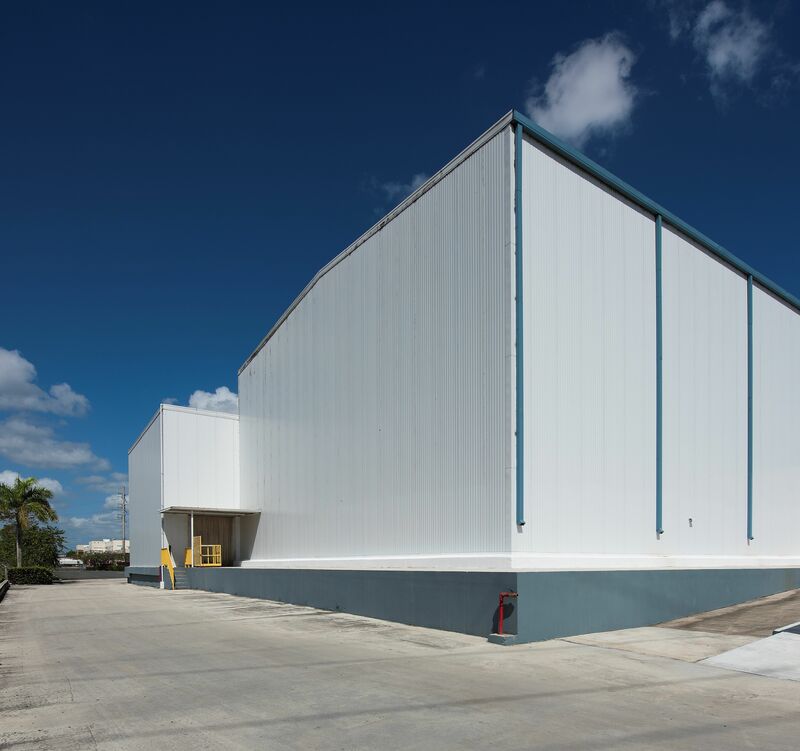 For both the roof and wall panel, Metl-Span’s CF42 was chosen by Williams. Both feature a six-inch core of urethane for insulation, efficiently helping keep Sterling’s ice cream stock at a temperature between minus 13 and minus 22 Fahrenheit. 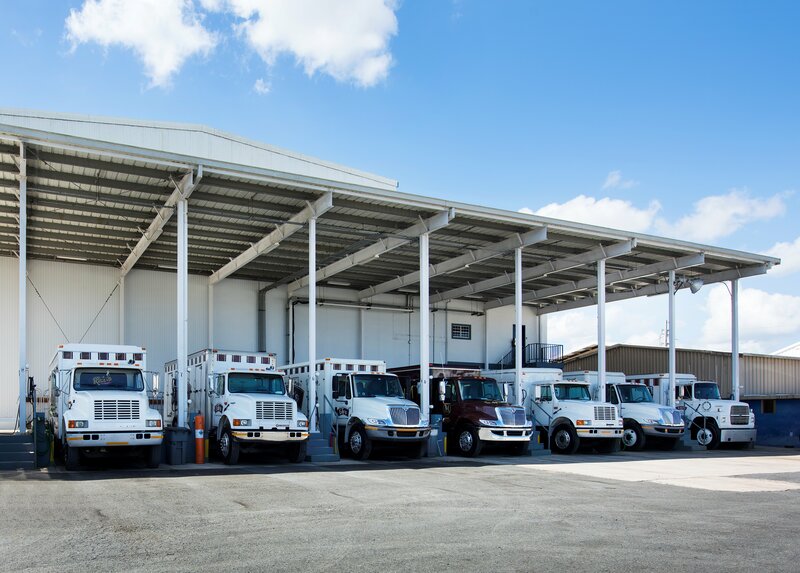 A total of 26,488 square feet of CF42 was installed as wall panel and 14,583 square feet of CF42R serves as the roof. Both are 22-gauge Galvalume in PVDF Polar White. 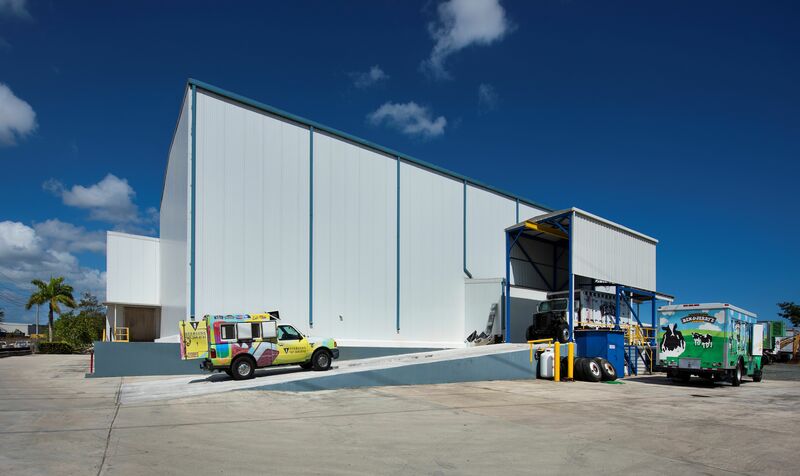 Caribbean Cleanroom Products Inc. of Dorado, Puerto Rico installed the Metl-Span panels. C.J. 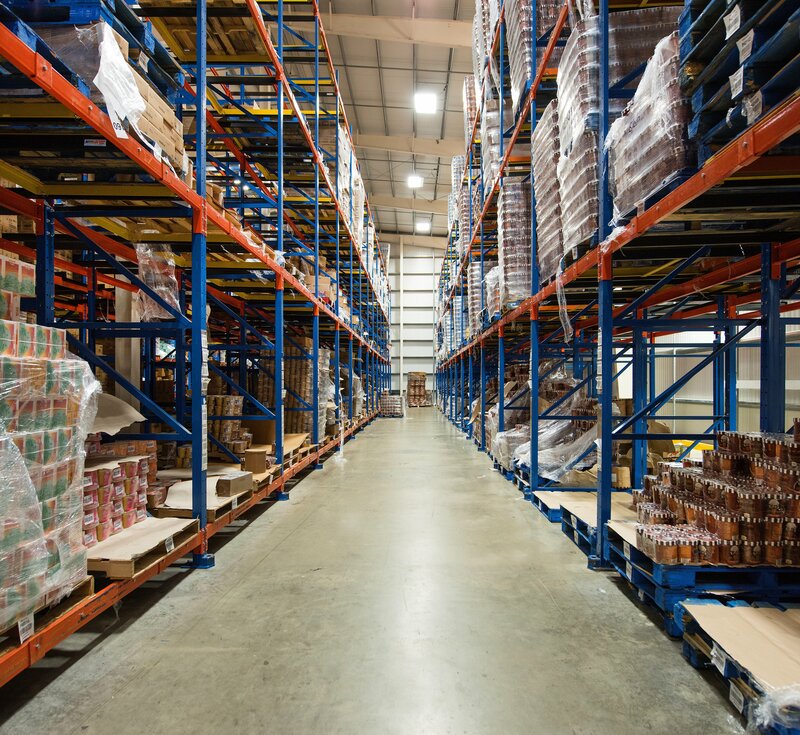 Sabol, P.E., Project Manager/Pharma Consultant for CCP, helped Williams design the facility and oversaw the construction. 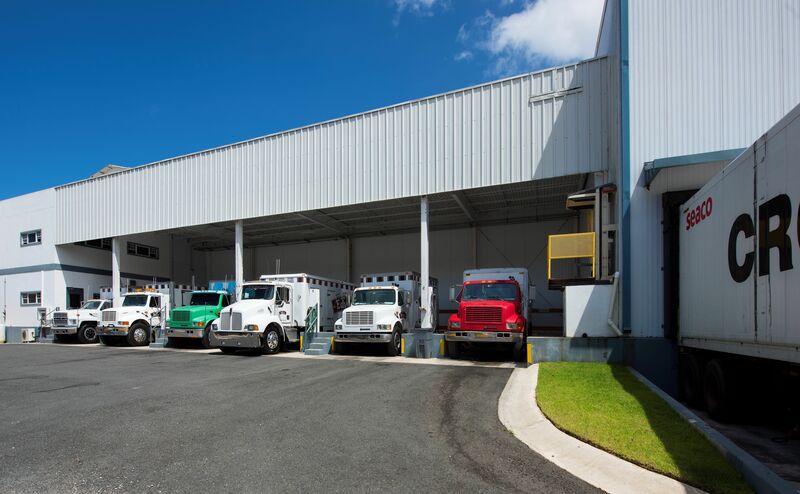 Sabol says many freezer facilities in the Caribbean are “box in a box freezers.” The outer building or “box,” insulates to keep temperatures at about 40 degrees, with a smaller freezer building housed inside to reach required lower temperatures. 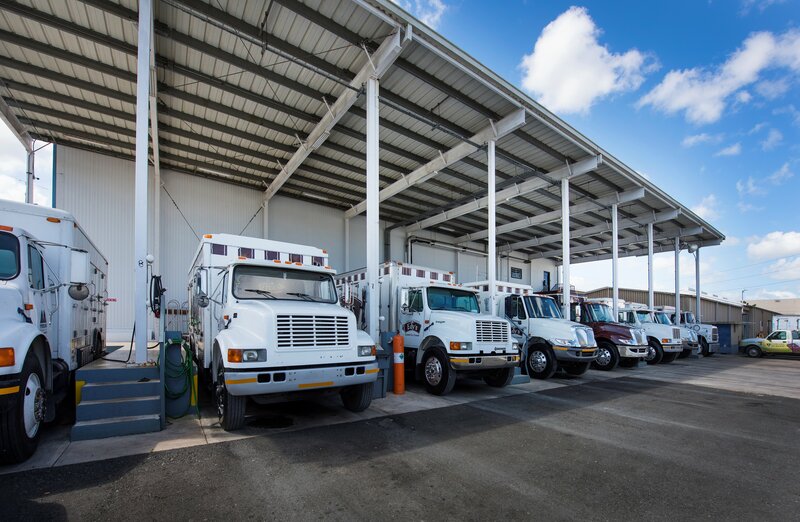 CCP had a crane onsite for almost three months to help lift the panels into place – the wall panels ranged from 40-feet, six inches at the eaves, to more than 43 feet long, from the ground to the ridge. As an accent for the building, CCP installed gutters and downspouts in Aegean Blue.